The Sassy Pack Rat: Veruca Is Finished Dressing...Finally! And I'm Featured on a Blog. Veruca Is Finished Dressing...Finally! And I'm Featured on a Blog. This vampire was tough! Her hair wasn't to her liking so I spent days on it. She tried on and vetoed 4 different dresses. She's such a diva, but I have no interest in getting bitten and becoming one of the undead so I kept plodding along until she was pleased! She is still disgruntled that she's shown without a necklace for her slim white throat but I promised I'd remedy that later today when I can reach my bin of jewelery. Veruca and Vlad together. Lovers through the centuries. Vlad waited very patiently while Veruca "dressed". He knows how she is and prefers to stay on her good side. 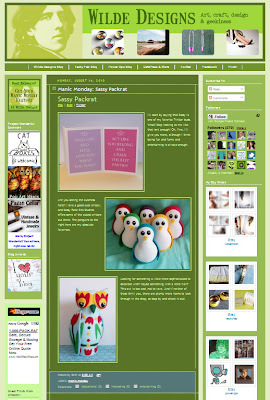 I woke this morning to a lovely feature on my creations by my sweet twitter friend Beth @Wildmoon and Wilde Designs Blog. Just click on the image below to go to the blog and read the lovely things she said about me and also check out her fabulous shops and fun blog. She's also a huge Dr. Who fan too, so you know I adore her! Wilde is wonderful and sweet, and your vampire couple is fab. I love how you make couples. 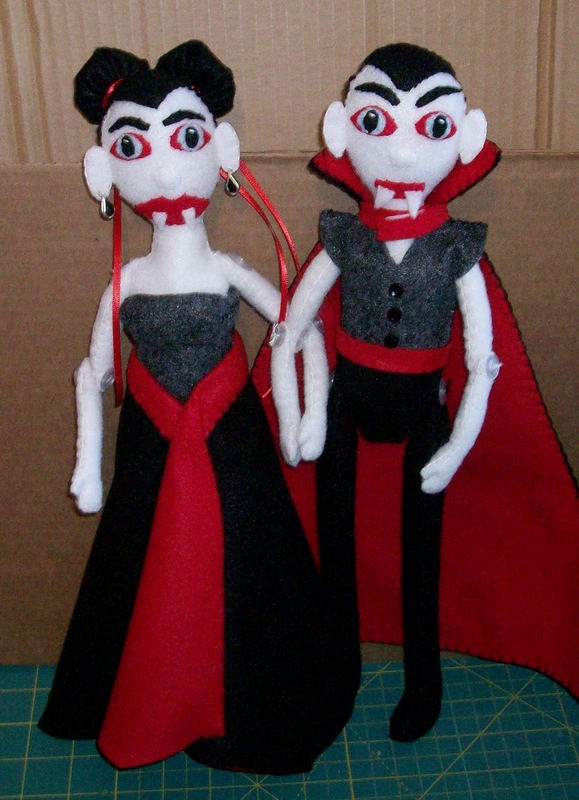 congrads on the blog, and I just love your vampire couple, so fun!!!!! 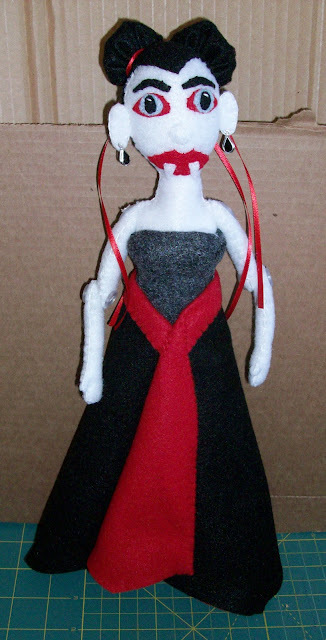 You really make the cutest dolls! That blog feature was very cool! I adore those roly poly penguins! You are so clever - and very wise to stay on the right side of a vampire!